Those of you that are up in Indy get a chance to pick up the newest releases before the rest of us do. Those that stop by the Cryptozoic booth, for example, have a chance to get the DC Deck-Building Game's latest pack, the Crisis Expansion Pack 4. It adds new cooperative play, as well as Unity cards. Take a look for yourself. Cryptozoic Entertainment, leading creator of board games, trading cards, and physical and digital collectibles, and Warner Bros. Consumer Products, on behalf of DC Entertainment, today announced the limited release of DC Deck-Building Game: Crisis Expansion Pack 4 at Gen Con, August 2-5, followed by a full retail release on August 8. The expansion can be added to any game in the popular DC Deck-Building Game series to introduce cooperative play, Unity cards that can combine for powerful effects, and Personal Crisis cards that directly affect the owner of the card. 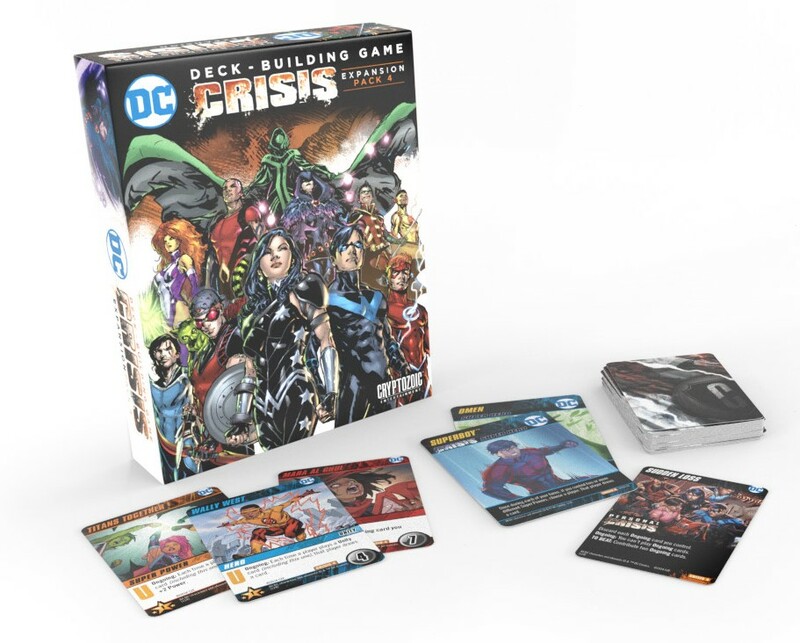 DC Deck-Building Game: Crisis Expansion Pack 4 will be available in limited quantities at Cryptozoic’s Booth #601 at Gen Con before hitting retailers nationwide August 8 for a suggested retail price of $20.